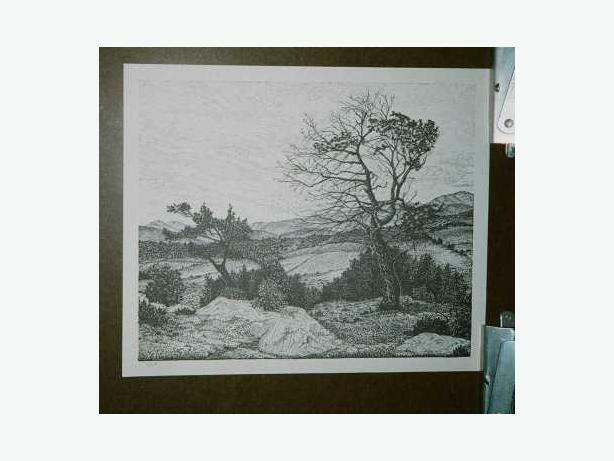 THIS BLACK AND WHITE PRINT OF AN INK DRAWING IS OF THE FAMOUS SOUTHERN ALBERTA LUNDBRECK TREE AND IS INCREDIBLY DETAILED. THIS TREE IS LOCATED IN THE CROWSNEST PASS. THE SIZE IS 13 1/4" X 11".